Preheat oven to 400°F. Roll the Pillsbury™ pizza crust out on a floured surface. 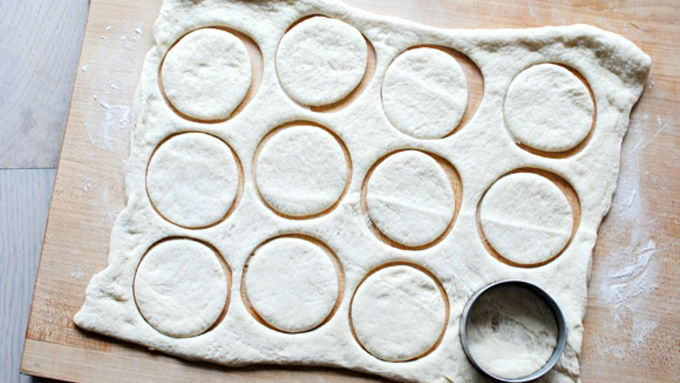 Using a cookie cutter, cut 12 circles out of the dough. Ball the dough up, roll it out again for 10-12 more circles. 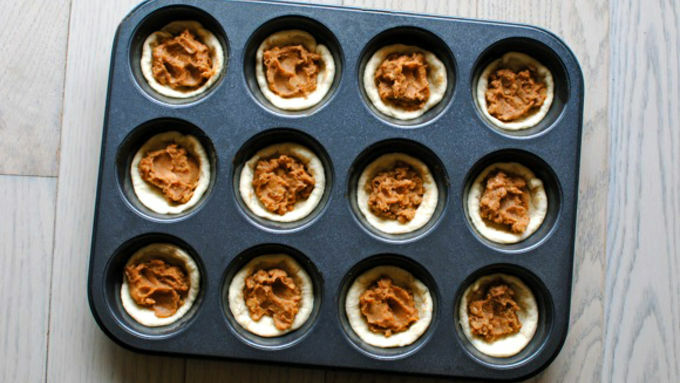 Lightly coat a muffin tin with cooking spray. Press each pizza circle into each tin, pressing it up the sides as best you can. Slide into the oven and bake for 9 minutes, or until slightly puffed and browned. While baking, brown your beef. 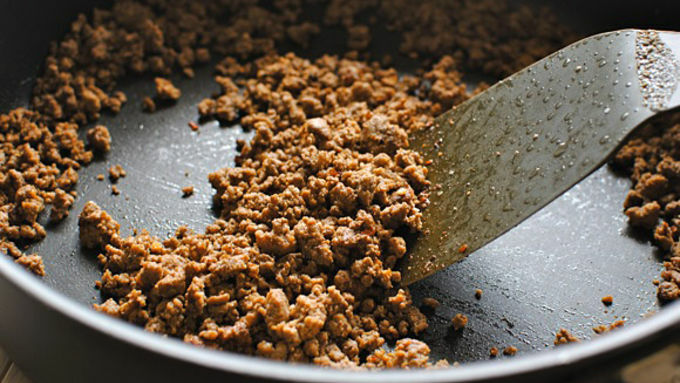 Drain excess fat, then season with the Old El Paso™ seasoning and a pinch of salt. Set aside. At this point, you can set out the baked pizza cups, along with the lettuce, olives, sour cream, guacamole, beef, cheese and salsa on the table. You can assemble different variations, or let your guests assemble their own! It's like, schizo-foodia! And I couldn't be happier. Is it pizza? Is it cupcakes? Is it Mexican food? Do I use a backhoe? Yes. Yes. Yes. And duh. These trans-globular game day snackies are giving me a serious case of the giggle bug. 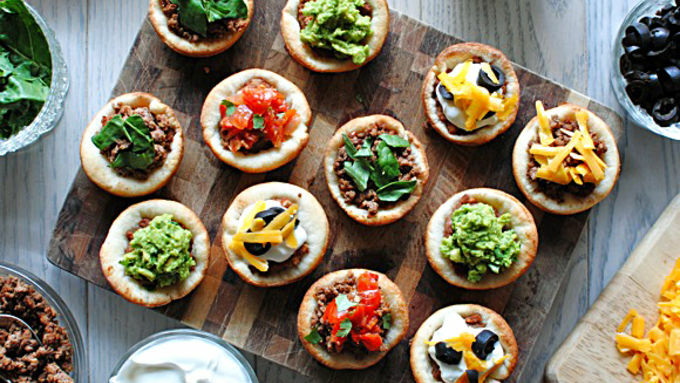 I mean just listen - little cups of pizza dough filled with a mix and match of 7-layer dip ingredients. Am I kidding? No. No, I'm not. Make 'em meaty, make 'em cheesy, make 'em beany, make 'em guacamoley, make 'em sour creamy. Just make these 7-Layer Dip Pizza cupcakes appear on your tongue over and over and over and watch your life unfold in a truly unimaginable way. (They. Are. Good.) You bake the little cups for about 9 minutes, and in the MEANTIME, you set up your party table. 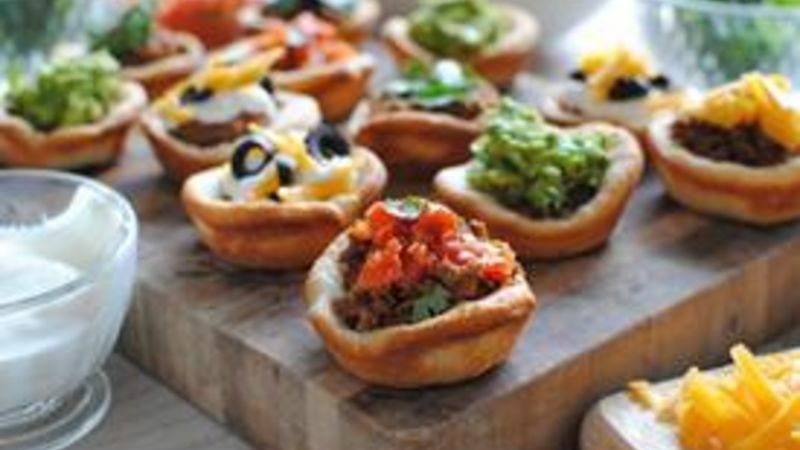 Arrange all the ingredients in little bowls and what not, so that your guests can assemble their own little 7-layer dippy bites! I got excited about these things. And then I ate 450. 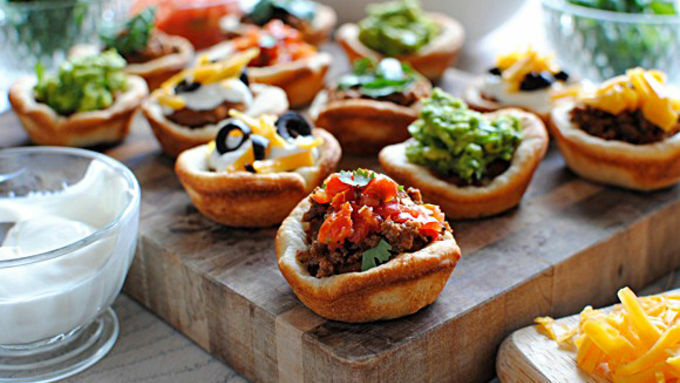 Promise me you'll 7-layer dip pizza cupcake your face.